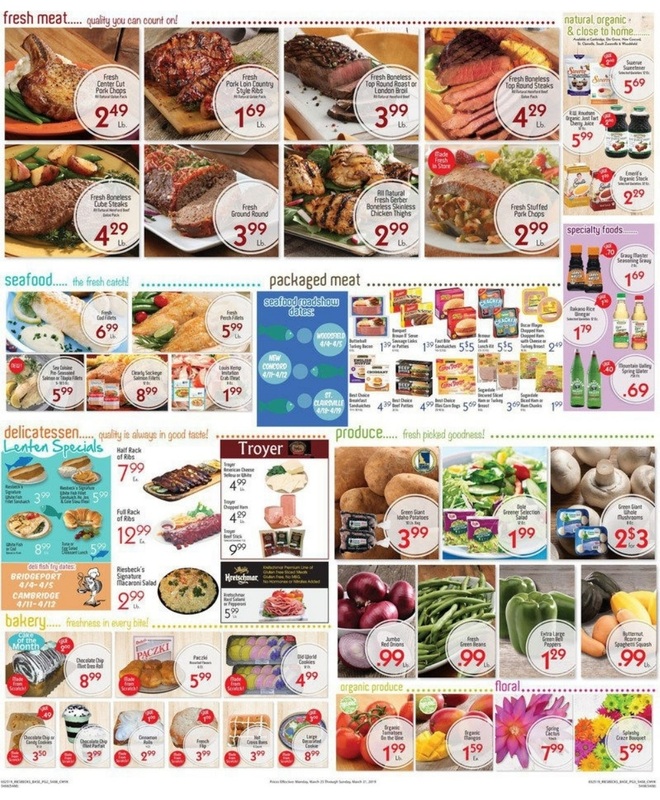 Browse the current ⭐ Riesbeck's Ad 4/8/19 - 4/14/19 and find coupons from Riesbeck's Food Markets. The latest ✅ Riesbeck's Weekly Ad will be posted on this page. Save this page in your browser and check back every week, or you can join Riesbeck's Newsletter to receive weekly sales ads, email promotions, coupons and more. Riesbeck's Food Markets, also known as simply Riesbeck's, is an American chain of 14 grocery stores located in Ohio and West Virginia. It is headquartered in St. Clairsville, Ohio. 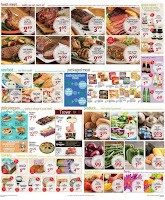 If you want to save more this week, don't miss to find digital coupons from Riesbeck's. Also, save with Gift Cards, 5% discount on orders of $500 or more. Don't forget to create a shopping list before go ahead to the store, and this is weekly deals from Riesbeck's Food Markets. Find great deals from the circular and find items with special prices such as Fresh Cucumbers, Best Choice Pizza, General Mills Cereal, Best Choice Salad Dressing, Nestle Drumsticks, Ocean Spray Juice, and much more.